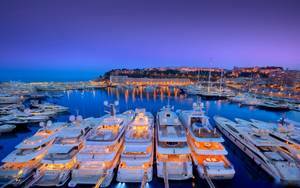 Worldwide Yacht Sales Inc. is a International network operation. Our highly trained staff assists buyers and sellers with the aquisition and liquidation of vessels of all sizes. We strive to provide the best possible pricing on watercraft. We have the National and International contacts for both buyers, sellers and dealers. Our close association with manufacturers, dealers and brokers enables us to purchase at very competitive prices. Worldwide Yacht Sales Inc. is a full service operation to include every aspect from the intial inquiry to delivery worldwide. If your buying or selling, contact us for your FREE International Market Analysis. Best wishes in another safe boating season! Just reduced from 2.490,000 THIS ONE IS LOADED , MANY RECENT UPDATES , UNDERWATER LIGHTS , BOW AND STERN THRUSTER MORE OPTIONAL 1550 MANS 30 Knot Cruise , 35 knot top end.